Financial transactions for Gurami Dagundaridze (19494784) have been limited message, i think because i just submitted profile too frequently. Can anyone help please? I tried to contact customer support but the system keeps filtering me out and redirecting to the community. Can anyone help with this "financial transactions have been limited" thing please? I have a ticket about this issue, but when i reply to it i get auto-reply through email, describing that upwork can not approve my profile, even though the profile is already approved. Can i do anything at all to solve this issue? I checked your account and can see that the team has responded to your open ticket here. If you have further questions about the issue on your account you may post it on the ticket thread and the team will get back to you with more information. First of all thanks for your time. I replied earlier today, but my reply got deleted, for some reason. Now regrding the issue, i dont see any response from the team at the specified ticket. Here is a screenshot: https://imgur.com/4gfhVd4. Can this be some kind of bug? The issue was closed before you replied and now it is open, i can tell that, but no replies whatsoever. Thanks in advance! I keep getting this auto-reply even though my profile is already approved! Thank you for contacting Upwork Support. First, we want to say that we appreciate your interest in becoming part of the Upwork community. Unfortunately, after reviewing the skills and experience in your submitted application we have found we cannot accept it. We’re sorry we don’t have better news for you right now. 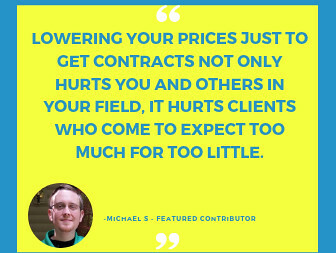 However, at this time our marketplace already has many freelancers with a similar skillset to yours. Since we cannot accept your application, you will not be able to use the marketplace or submit any proposals. I have followed up your ticket with the team and they should get back to you the soonest. Hi, I am having issues in getting my account approved. If you have more relevant skills or experience to add, you can update and re-submit your profile. You can find more information regarding our decision here"
Thank you for your interest in joining Upwork. We have reviewed your application to join, and regret to inform you that we are unable to accept your Upwork freelancer registration at this time. 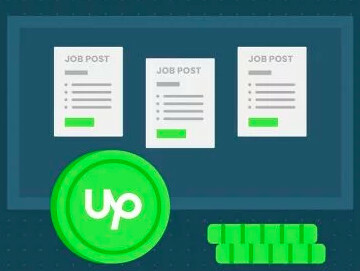 Please do not consider this a reflection of your abilities while we would like to offer every qualified freelancer a spot, admission is highly competitive as Upwork receives more than 10,000 freelancer registrations daily. To help ensure that the freelancers we accept have the best chance at finding opportunities on our platform, we can only accept a small percentage of those who want to join. 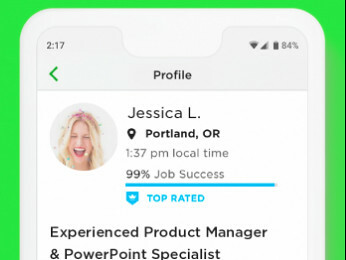 If you feel that the profile you submitted does not accurately represent your skills and experience, you are free to update and resubmit your profile. Please guide me through the profile approval process and help to approve my profile. Please response on the email, Ive got the same scenario just like him. Can you please check my profile. I dont know what went wrong. I updated my skills. Took 5/6 test with Top 10-20%. Please tell me what to imrpve and what skill set are required for approving my account.